Caño Cristales (English: Crystal Channel) is a Colombian river located in the Serrania de la Macarena province of Meta, and is a tributary of the Guayabero River. The river is commonly called the “River of Five Colors” or the “Liquid Rainbow,” and is noted for its striking colors. The bed of the river from the end of July through November is variously colored yellow, green, blue, black, and especially red, the last caused by Macarenia clavigera plants (family Podostemaceae) on the riverbed. One of the many beautiful waterfalls of Cano Cristales. I, Mcleods08, the copyright holder of this work, hereby publish it under the following license: This file is licensed under the Creative Commons Attribution-Share Alike 4.0 International license. The quartzite rocks of the Serrania de la Macarena tableland formed approximately 1.2 billion years ago. They are a western extension of the Guiana Shield of Venezuela. This page was last edited on 5 December 2018, at 00:29 (UTC). French Polynesia is a sort of geographic nesting doll of islands in the South Pacific Ocean. Bora Bora is one of the Leeward Islands, a part of the larger Society Islands group, which is included in the still larger collection of islands and reefs that make up French Polynesia. Like Tahiti, Bora Bora thrives on tourism. There are but 11 square miles to this island group, but oh what fantastic square miles they are. And for as many shades of green you can find here on land, there may be more shades of blue in the reef-sheltered lagoons surrounding Bora Bora. Source: Wikimedia Commons. 2018. Wikimedia Commons. [ONLINE] Available at: https://en.wikipedia.org/wiki/. [Accessed 11 October 2018]. Acre for acre one of the most scenic places on Earth, the Isle of Skye has no shortage of stop-in-your-tracks views. Throughout time, landslips have turned this island in the Scottish Hebrides into a place rich with surreal rock formations, sharp cliffs, and massive peninsulas. Here, we’re perched on the slopes of The Storr, a cliff rising more than 2,000 feet in elevation. Just beneath us is its most renowned citizen, a group of jutting, flinty rocks known as the Old Man of Storr. The otherworldly beauty of The Storr is a favorite of painters, photographers, and filmmakers, including director Ridley Scott who used the location to eerie effect in ‘Prometheus‘. Image 2 Pinterest. 2018. 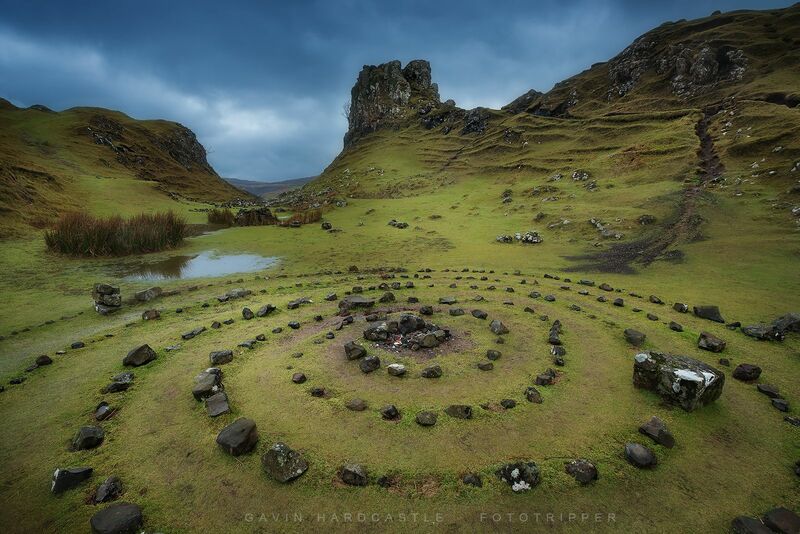 The Fairy Glen – Isle of Skye More #Scotland | Skye | Pinterest | Fairy glen, Scotland and Fairy. [ONLINE] Available at: https://www.pinterest.co.uk/pin/860117228807641276/. [Accessed 06 October 2018]. awe inspiring natural sights in vietnam that arent ha long bay. When it comes to natural wonders in Vietnam, you have to talk about Ha Long Bay. There’s no other place like it in the world, which is why hordes of tourists visit every year. But Vietnam has so much more to offer nature lovers, so let’s take a look at the mountains, rice paddies, lakes, waterfalls, caves and spectacular beaches you should also check out. Tours into the cave—the world’s biggest, by volume—aren’t cheap. The descent is tricky as well, so only experienced guides are allowed to take tourists inside. You also have to climb over the The Great Wall of Vietnam. This isn’t an excursion for a casual hiker, but it’s an experience to remember. These lesser-known islands lie off the southern coast of Vietnam. In days long gone, political prisoners and other undesirables were sent here to be tortured for information. Nowadays, however, there are prime scuba diving spots and amazing hikes, plus you can check out some local wildlife such as the Crab-Eating Macaque and the Black Giant Squirrel. Sea turtles breed on these islands as well, and you can arrange with local park rangers to watch newly hatched babies as they start their harrowing adventures. Author Andrew BlairPosted on 19/09/2018 20/09/2018 Categories digital photography, Geography, Nature Photography, RebloggedTags Côn Đảo, Hang Sơn Đoòng, Microsoft Windows 10, Not ha long bay, VietnamLeave a comment on awe inspiring natural sights in vietnam that arent ha long bay.